Isn't it frustrating to have a house or office filled with random items? Looking for the perfect container to send a gift in? 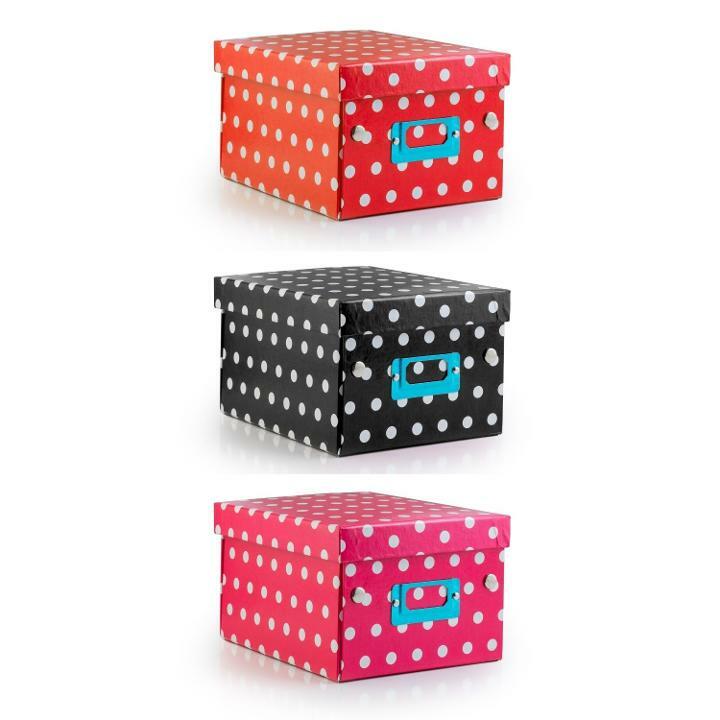 This convenient gift box is a great way to send a gift or for keeping your house or office clutter free. Measuring 8" x 6.5" x 4.75" and made from heavy paper, it's great for storing discs, toys, food items and more! This innovative case unsnaps, collapses and folds away when you don't need it. (Box collapses to 8" x 6.5" x 1"). Check out our full line of other decorative gift boxes! 8 in. x 6.5 in. x 4.75 in.